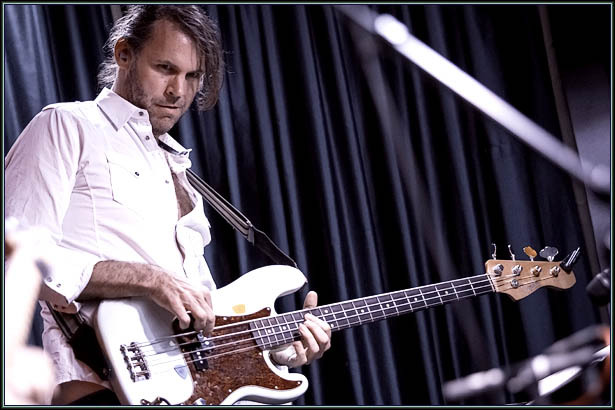 We're excited to announce that bassist Tim Lefebvre is the newest member of Tedeschi Trucks Band. Tim first performed with the band in Nashville on July 19 and as Derek told Nola.com, "It just felt right. Two or three shows into it, we were playing some of the best shows we'd ever played." Tim is a veteran of the Los Angeles and New York music scenes on both electric and upright bass, having performed and recorded with Bill Evans, Wayne Krantz, Mark Giuliana and many others, in addition to his contributions to film and TV scores like The Departed, Ocean's Thirteen and 30 Rock. Special thanks to each of the many amazing bassists who performed with TTB this year: Eric Krasno, Pino Palladino, George Porter Jr., Bakithi Kumalo, Ted Pecchio, Dave Monsey and George Reiff. It's been an honor and a great compliment to have so many great bassists appear with the band this year. Says Derek: “The bass player is a linchpin in the group. Everything keys off of that. The drums have to lean on it, harmonically you have to lean on it. We knew it was going to be a unique and amazing experience to play with world-class players and hear different flavors of what the band could be. You really learn who you are when you see it from all those different angles. We hoped we would know when we found the guy, that it would just be obvious to everybody. But then you get into it, and there’s so many things you love about everybody you play with that you start wondering if that is going to be the case." On behalf of Tim and the entire TTB, we're looking forward to performing for you soon. NOTE - After reading this announcement, Tim and the band offered their own additions to Tim's bio. Please enjoy this enlightening and mostly false addendum to his official band biography: Aside from his bass duties, Tim has served as the band's barista and contributed to the overall regularity of the group. As a native of Foxboro, Massachusetts, Tim immediately becomes one of the top 3 most redneck members of TTB. Have you seen his friend Sully? When Susan was asked about Tim she responded "which one is he?" Anonymous pony-tailed TTB member says he tends to rush difficult musical passages and lacks dynamic touch. Has all the subtlety you'd expect from a 6'11'' viking. Also known as the poor man's Pino Palladino. "Whats he doing in his bunk, eating sardines or what?" adds Mike Mattison.